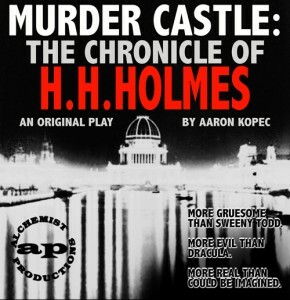 The Alchemist Theatre, a production company in Milwaukee, WI, is putting on Murder Castle: The Chronicle of H.H.Holmes just in time for Halloween. Holmes was a con-artist and serial killer that is most famous for building a hotel in Chicago for the Chicago World Fair. The hotel was a maze with torture rooms where Holmes would dispatch his guests, and steal their money. Look for a podcast episode on Holmes in the near future.